The Vail Winterfest Ice Theater will feature the holiday cartoon âHow the Grinch Stole Christmasâ (1966) at the opening celebration on Wednesday, Dec. 21. 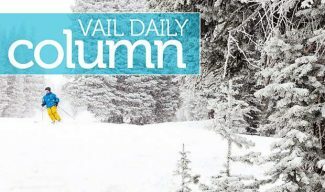 VAIL — Art in Public Places this week announced dates for its signature winter events, including the 10th annual Vail Winterfest Ice Theater, presented by Vicki and Kent Logan. Vail’s Paper Lantern Project invites residents and visitors to build their own paper lanterns or participate in a workshop in order to join the Winter Solstice Lantern Walk in Vail Village on Wednesday, Dec. 21. • 4 to 6 p.m. — Cocktails & Canvas: Lantern Making with the Alpine Arts Center, Vail Recreation District Community Programming, second floor of Lionshead Welcome Center, $10 instruction and materials fee; an adult must accompany children. Alpine Arts Center will instruct participants in creating a paper lantern. The evening will include complimentary light snacks, holiday music and wine and beer available for purchase to sip while creating a lantern to bring to the Winter Solstice Lantern Walk. RSVP to Molly Eppard, Art in Public Places coordinator, at meppard@vailgov.com or 970-479-2344; space is limited. • 1:30 to 4:30 p.m. — Paper Lantern Making Workshop with Helen Hiebert, Vail Public Library, free. Create a paper lantern at a free workshop in the Community Room at the Vail Public Library with local paper artist Hiebert. Bring the paper lantern to the Winter Solstice Lantern Walk through Vail Village following the workshop. Complimentary LED lights for lanterns will be provided to those participating in the lantern walk. 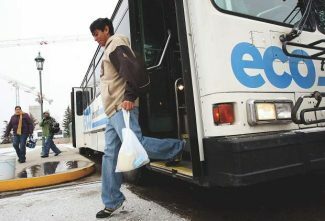 RSVP to Eppard at meppard@vailgov.com or 970-479-2344 and indicate number in party. An adult must accompany children. • 5 p.m. — Winter Solstice Lantern Walk in Vail Village to the Gore Creek Promenade, Slifer Square, Vail Village by the Covered Bridge, free. Participants in the Winter Solstice Lantern Walk will meet at the Covered Bridge for the procession through Vail Village led by a special guest and friends. Arrive early in Slifer Square to decorate a holiday cookie before the walk from 4 to 5 p.m., sponsored by Holidaze in Vail. 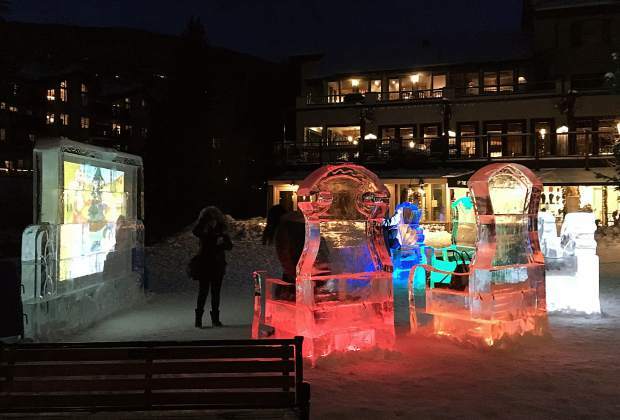 The procession through Vail Village will include illuminated lanterns and music, as participants wind their way to the Gore Creek Promenade for the opening celebration of the 10th annual Vail Winterfest Ice Theater presented by the Logans. • 5:15 p.m. — Grand Opening Celebration of 10th annual Vail Winterfest Ice Theater, Gore Creek Promenade, Vail Village, free. The Vail Winterfest Ice Theater was conceived and introduced by Art in Public Places during the 2012-’13 winter season to celebrate Vail’s 50th anniversary. This year, Art in Public Places, with ice sculptor Paul Wertin, will bring back the free and family-friendly cinematic experience in ice. Lounge in oversized ice chairs with views of Gore Creek during the day and film projections on a screen created in ice in the evening. The Ice Theater will feature the holiday cartoon “How the Grinch Stole Christmas” (1966) at the opening celebration. Dress as your favorite Dr. Seuss character from this holiday classic. Projection begins daily at dusk until 10 p.m. and will be on view until the ice melts. Information about the Paper Lantern Workshops, Winter Solstice Lantern Walk and the 10th annual Vail Winterfest Ice Theater can be found on http://www.artinvail.com or contact Eppard at meppard@vailgov.com or 970-479-2344.